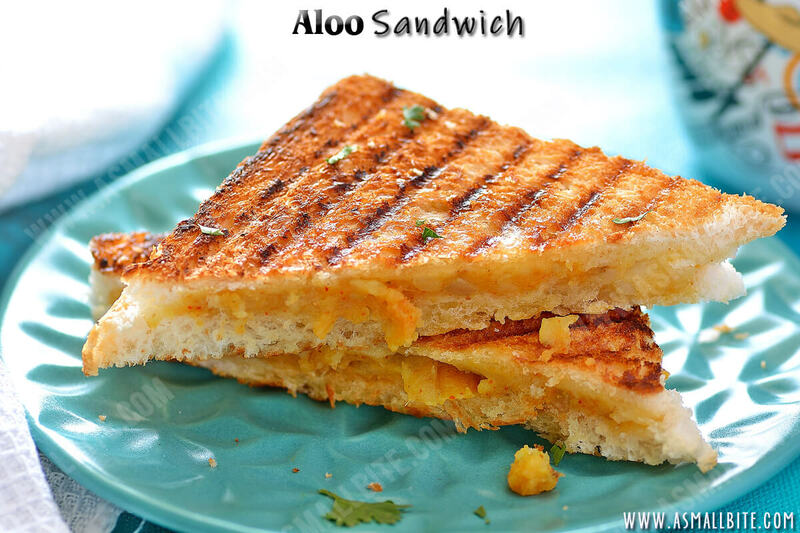 A simple yet delicious Aloo Sandwich Recipe, perfect for the busy morning hours and apt for the kids evening snack. 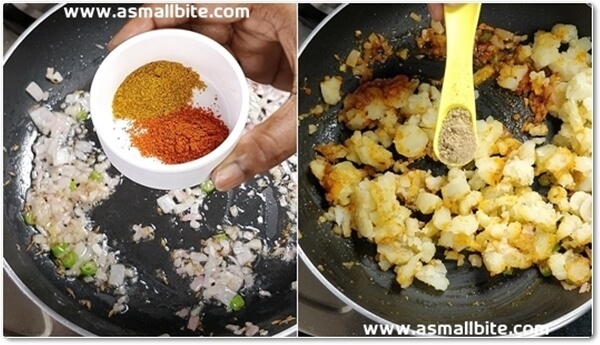 I mostly prepare the masala / Bhaji in prior and refrigerate it, as it stays good for 2 days and use it whenever needed. 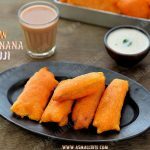 To make it healthier, colourful and tastier, you can add carrots, capsicum, paneer also, you can twist and turn the recipe as per your creativity. If serving for kids, you can add a generous amount of grated cheese too, they love it a lot. 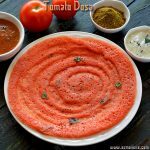 I don’t prefer tomato sauce as a dip, my all time choice is coriander chutney, mint chutney or chaat chutney (click the high lighted words for the link). 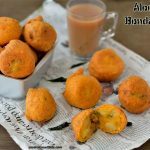 Also, I have shared this Potato sandwich Recipes with step by step pics, a short YouTube video If you like it, share it and please don’t forget to subscribe to my channel. 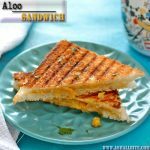 A simple yet delicious Aloo Sandwich Recipe / Potato Sandwich Recipes, perfect for the busy morning hours and apt for the kids evening snack. First, measure and keep all the ingredients ready. Then chop onion, green chilli and coriander finely. Pressure cook potato for 3 whistles and mash it well. Heat 1/2 tbsp of oil in a pan and temper it with jeera. Then add onion, green chilli and saute till translucent. Add ginger-garlic paste and saute till the raw smell leaves. Add chilli powder, garam masala powder, mashed potato and chaat masala. 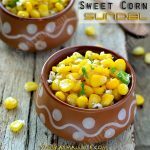 Add required salt and cook for 2 minutes in low flame. Finally, garnish with coriander leaves. Once it cools a bit, squeeze lemon juice and mix well. Now trim the edges of the bread and spread butter over it. 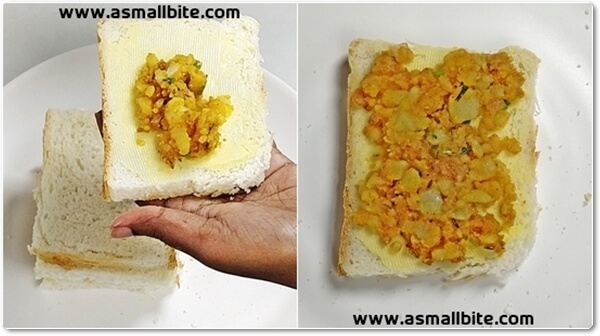 Place a scoop of prepared masala over the bread and level it. Cover it with another bread. Then pre-heat the toaster, once it is ready, apply butter both on the bottom and top. If you don't have a toaster, you can use a tawa and do the same. Keep the bread slices, smear it with little butter on top and toast it. Once it is done, flip it to the other side, smear it with little more butter on top and toast it. 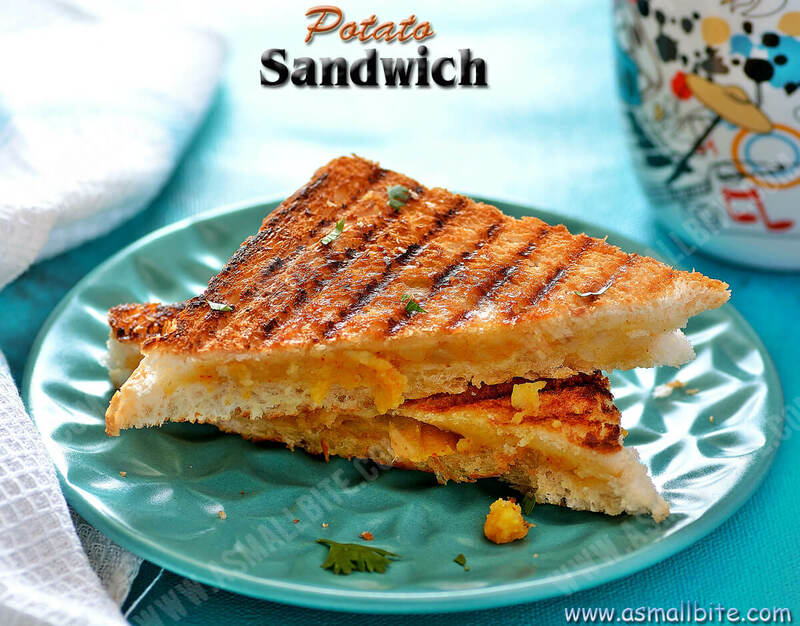 Enjoy this Potato Sandwich Recipes with Tomato-Mint Chutney. Adjust green chilli and chilli powder as per spiciness required. 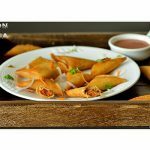 You can even add grated carrot, capsicum, paneer to the stuffing, to make it colourful and tasty. Even 1/2 Tsp of pepper powder can be added for more flavour and spiciness. Don't skip lemon juice as it adds slight tanginess to the stuffing. I used sandwich bread, even milk/wheat or multigrain bread can be used. But use a day old bread, so it doesn't get crumbled. For a different version, sliced onion, tomato or cucumber can be clubbed between the sandwich. This stuffing stays good for 2 days under refrigeration. You can prepare it in prior and use it whenever needed. I recommend using butter for toasting the bread, which lends nice taste and golden crust to the Potato Sandwich Recipes. 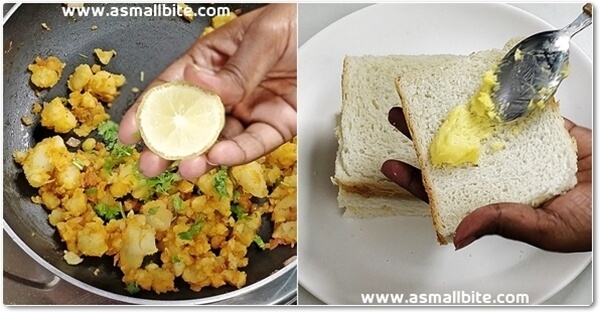 If you don't have a toaster, this Aloo Sandwich Recipe can be done in tawa too. 1. First, measure and keep all the ingredients ready. Then chop onion, green chilli and coriander finely. Pressure cook potato for 3 whistles and mash it well. 2. Heat 1/2 tbsp of oil in a pan and temper it with jeera. Then add onion, green chilli and saute till translucent. Add ginger-garlic paste and saute till the raw smell leaves. 3. Add chilli powder, garam masala powder, mashed potato and chaat masala. 4. Add required salt and cook for 2 minutes in low flame. Finally, garnish with coriander leaves. 5. Once it cools a bit, squeeze lemon juice and mix well. Now trim the edges of the bread and spread butter over it. 6. 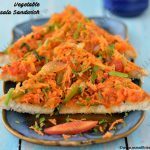 Place a scoop of prepared masala over the bread and level it. 7. Cover it with another bread. Then pre-heat the toaster, once it is ready, apply butter both on the bottom and top. 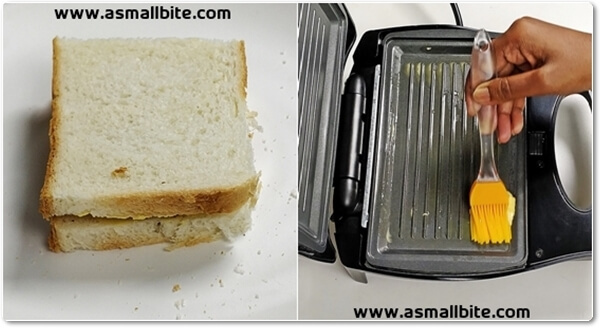 If you don’t have a toaster, you can use a tawa and do the same. 8. Keep the bread slices, smear it with little butter on top and toast it. 9. Once it is done, flip it to the other side, smear it with little more butter on top and toast it. Enjoy this Potato Sandwich Recipe with Tomato-Mint Chutney.